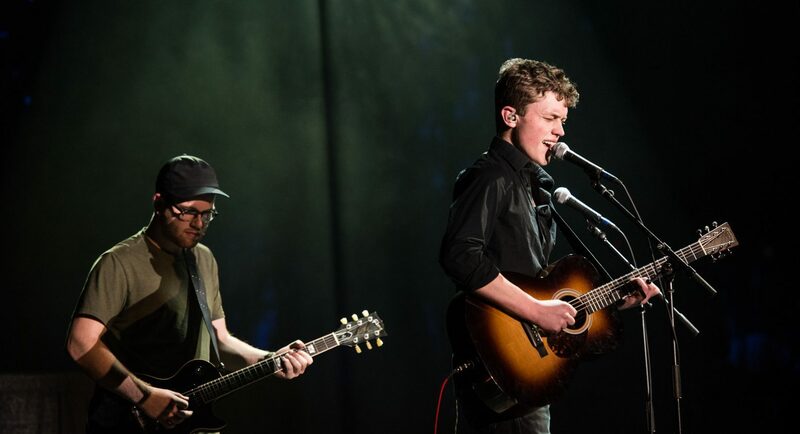 Songwriting major Brad Blackburn performs at the 2016 Best of the Best showcase. The National Music Publishers’ Association S.O.N.G.S. (Supporting Our Next Generation of Songwriters) Foundation today announced that it has created a $50,000 songwriting-specific endowment at Belmont for the Mike Curb College of Entertainment and Music Business Songwriting Program. As part of Belmont’s We Believe comprehensive fundraising campaign which launched in 2016, this donation was matched by the University for an endowment totaling $100,000. The NMPA S.O.N.G.S. Foundation Board includes Steven Tyler, Kara DioGuardi, Jewel, Craig Balsam, Golnar Khosrowshahi, Lee Thomas Miller and NMPA’s David Israelite, Danielle Aguirre and Charlotte Sellmyer. The Foundation also created the first-ever songwriting endowment for Middle Tennessee State University College of Media and Entertainment with a gift of $25,000. Launched in 2015, the NMPA S.O.N.G.S. Foundation promotes the creation of music by supporting gifted songwriters and programs that foster composition education. The Foundation’s goal is to provide financial assistance and support of educational programs to assist talented writers to ensure they can continue their creativity. It is a 501(c)3 corporation.